What’s Under YOUR Couch Cushions? I’ve just emerged from excavating my desk — a long-lost piece of furniture I’d like to start using again if I could somehow find it. In my archaeological dig, I just unearthed this treasure. 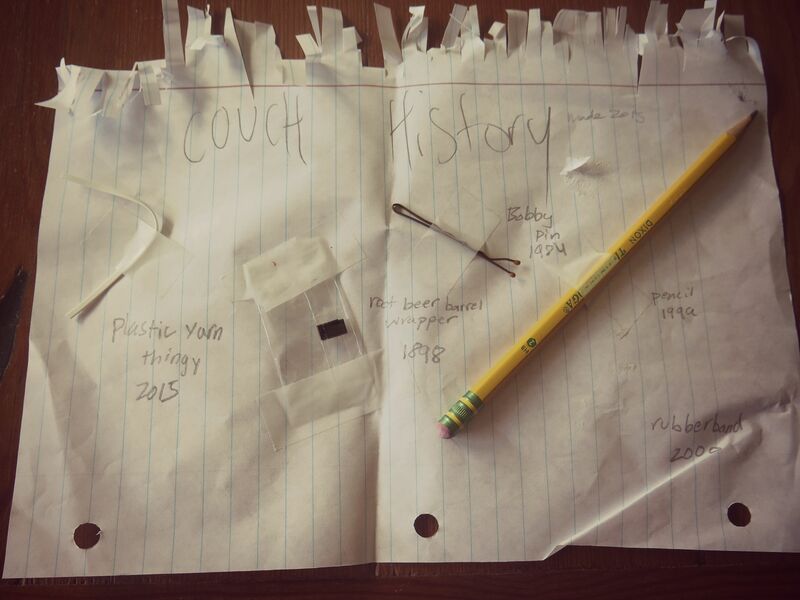 “Couch History:” A Dusty Time Capsule of What Lies Beneath by Lucy Filiatreault. My daughter likes to “research” stuff. This usually involves Googling weird animals like Tasmanian Tigers (which I wasn’t aware was a real thing) and typing up “facts” about them. Apparently she also turns her scientific eye now and again to the mysteries of home — such as what mysteries lurk under our sofa cushions. As shown above, she has lovingly curated this array of items and TAPED THEM TO A PIECE OF PAPER. 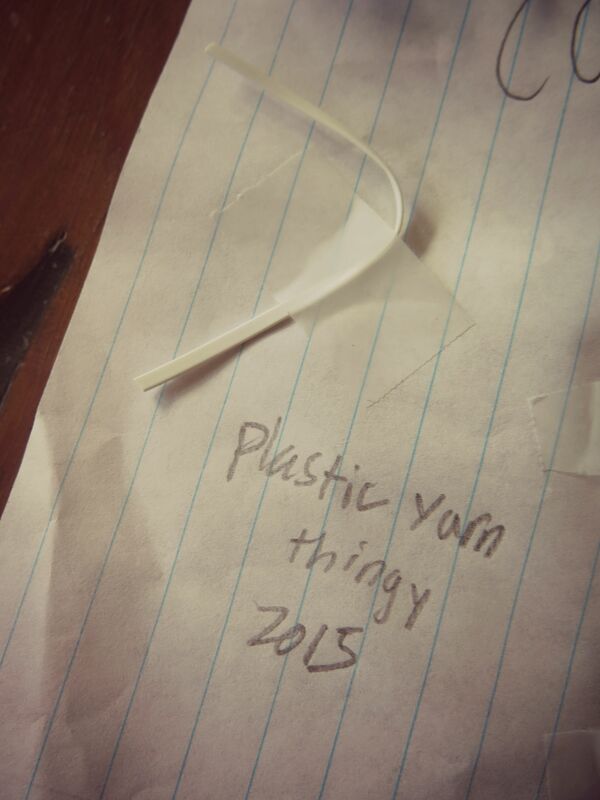 I’m just happy it’s something plastic and not something dead. She appears to imply that said “piece of papper” had lain our carpet since 1964. I demand carbon dating. 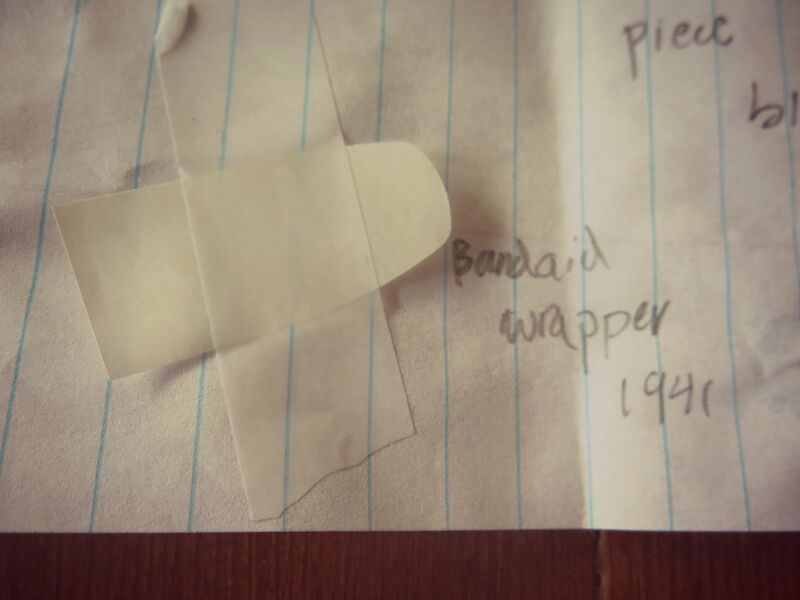 And a BandAid from 1941?? It might have been there since the Bush administration, but FDR? P-shaw. What a keen scientific mind! 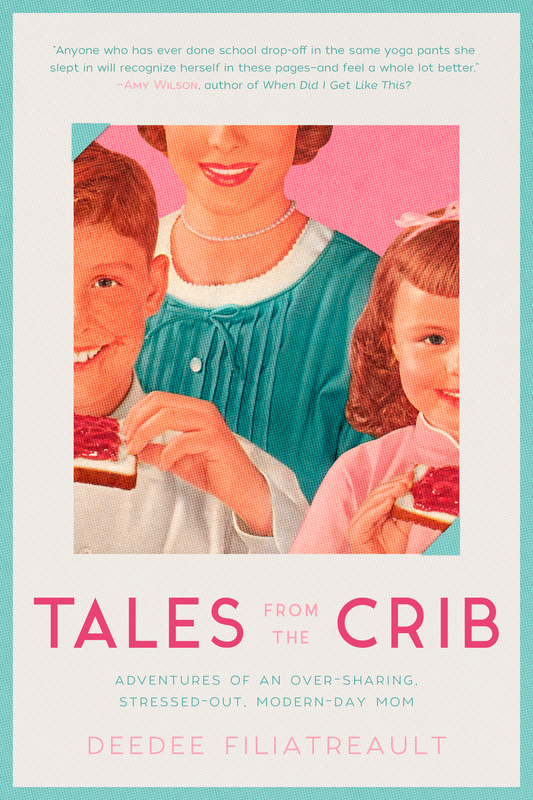 And what a lovely tribute to her mother’s unswerving devotion to homemaking! 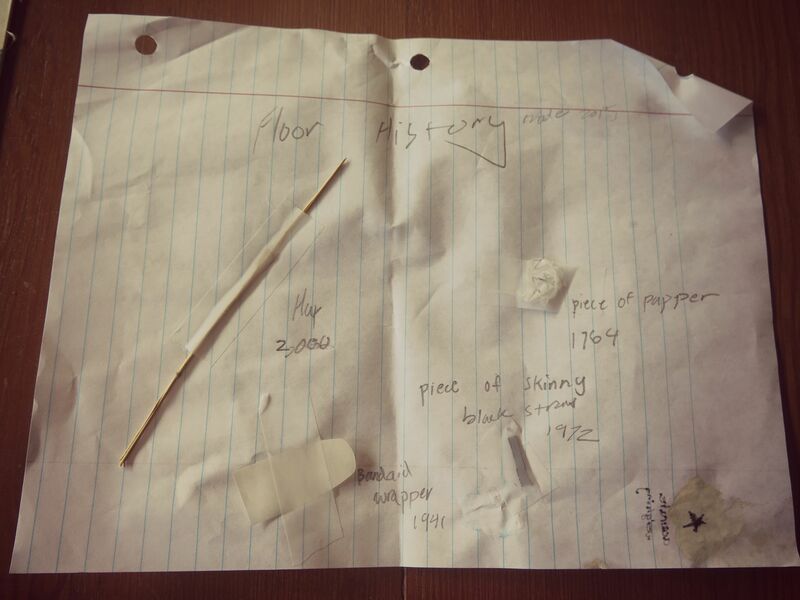 May she long cherish these findings (a wrapper from her beloved root beer barrels, the remains of a bandage from a boo-boo once blessed with a kiss, a piece of hay from the box of that infernal rabbit we bought her) as mementos of a home full of crap, yes, but also full of lovvvve. Just as importantly, may her inquisitive mind never lead her to the seedy underbelly of our station wagon’s backseat. That mouse family just wants to eat our leftover Goldfish crackers in peace.